Features Two terminals, in both positions. Keyed can be taken off when the switch stays on or off position. 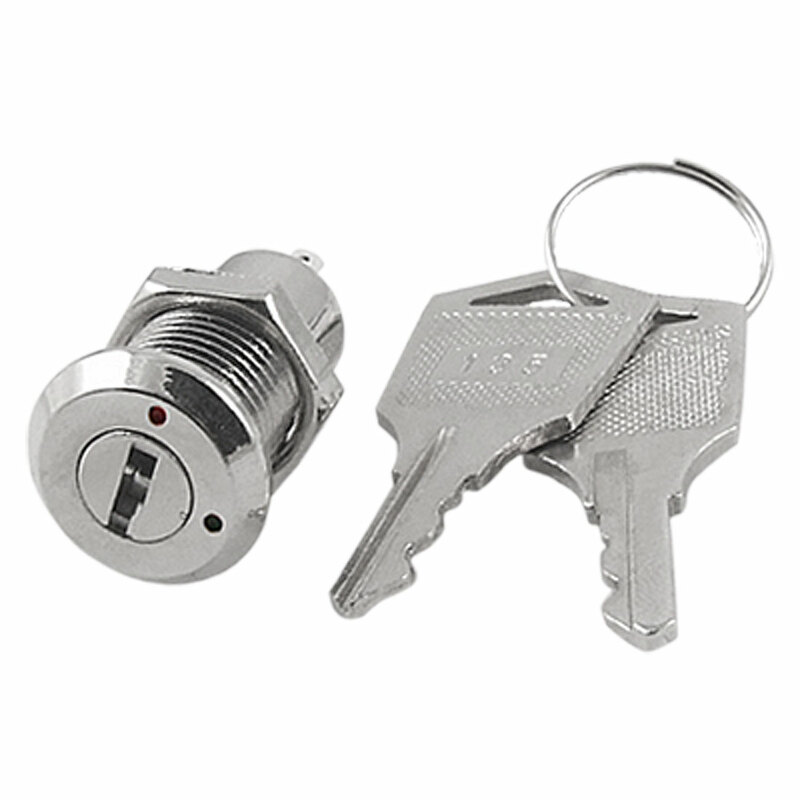 Miniature keylock switch for simple locking and switching tasks. Note: This KEY design is not for security reason, it is just a design to prevent unintentional switching--to actuate the switch you have to insert a key into the switch instead of push a button which anybody could do by mistake, in some cases one keylock switch may be opened by the key of another set,if you buy more than one set , please note we can not ensure very keylock has its unique keys.